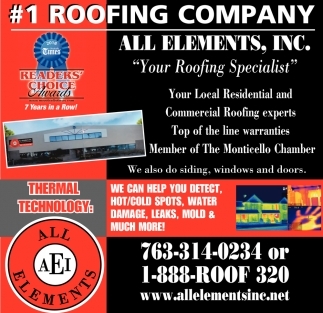 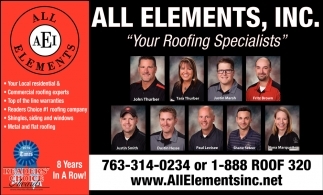 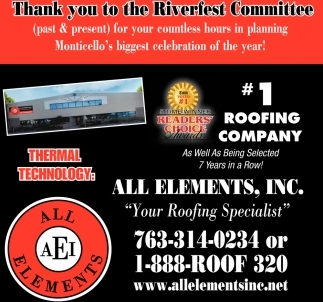 Thank You for Voting the All Elements Roofing Team #1 for 8 Years In A Row! 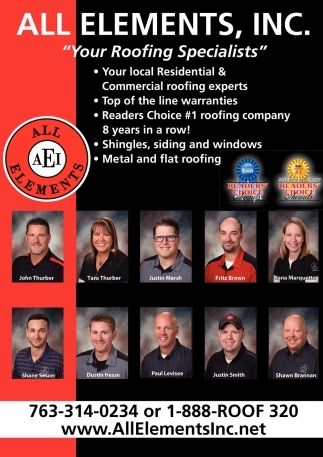 Readers Choice #1 Roofing Company for Over 5 Straight Years! 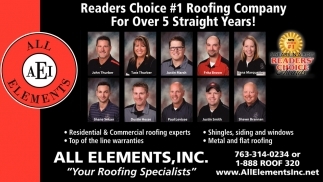 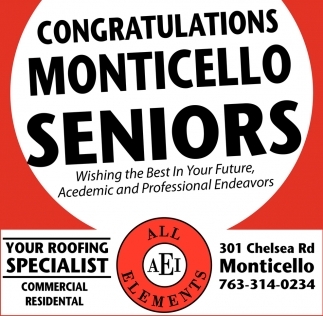 Readers Choice 1# Roofing Company for Over 5 Straight Years!